There are a large amount of sites that use image sliders to emphasize content by using jQuery plugins. In today’s post we provide you with yet another collection of some fantastic resources for all of those among you who are interested in learning how to create image sliders with jQuery, and more! I’ve used more than one of those. For putting in various types of HTML, the AnythingSlider is great. slideViewer? codaslider? Mostly old stuff.. Man, how long have you been offline? Cool another great list. It seems like these js slider plugins keep getting better and better and better. Yea! I really love the first one “slidesjs” thanks for the link, going to use right away! Nivo is a close second but as far as sliders that are easy to use and style, SimpleSlide (http://simplesli.de/) takes the cake. 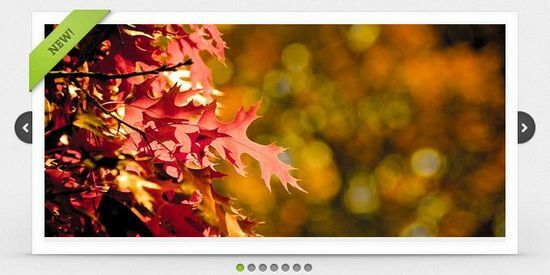 More on jQuery: Slider Plugins and Tutorials – Noupe Design Blog Is it possible be writing more about this subject? Good Article, but should have provided a live working here itself as well. good list this will come in handy!! cheers! Cool another great list. It seems like these js slider plugins keep getting better and better and better. I have been using Nivo Slider for some time now and it is great and very easy to set up but I have experienced two issues with this slider. Firstly, it does not use accessible html because the images are not wrapped in a list or other type of container. The second issue is that there is no effect for horizontally scrolling slides. Even though it does a lot of other effects such as swipes and fades, I sometimes miss the horizontal sliding effect. I have already used some of the jquery plugins above but there are new plugins that I think are much more suitable to the website that I have worked on before. Thanks for this list. I personally love the BX Slider you can literally do anything with it. Horizontal/vertical scrolling, easing, use anything for the navigation be it next previous arrows, individual text or image links, navigation div can be put anywhere. And it’s totally simple and valid. Have used Nivo Slider and coda slider a few times. Nivo not so good, can be a pain to setup properly. Thank you very much! It’s really beautiful !!!! Thanks for sharing this info. Great Job ! nice collection of jquery slideshow. Wow, thanks ! Great help. This is what I need for my site. Thanks to share. Nice collection. Thanks for compiling this list, some of the examples here are turning out to be better than paid versions!